De verhalenbundel Mtnadzor (De Donkere Vallei) van de Armeense schrijver Aksel Bakunts is een reeks van 18 verhalen, die voor het eerst in 1927 werden gepubliceerd. De verhalen zijn nu uit het Armeens in het Engels vertaald door Nairi Hakhverdian. Deze Engelse vertaling is uitgegeven door Taderon Press in Londen in november 2009 met een inleiding van Victoria Rowe. Taderon Press is een afdeling van de Gomidas Institute. Adres: 42 Blythe Rd., London W14 0HA, England. 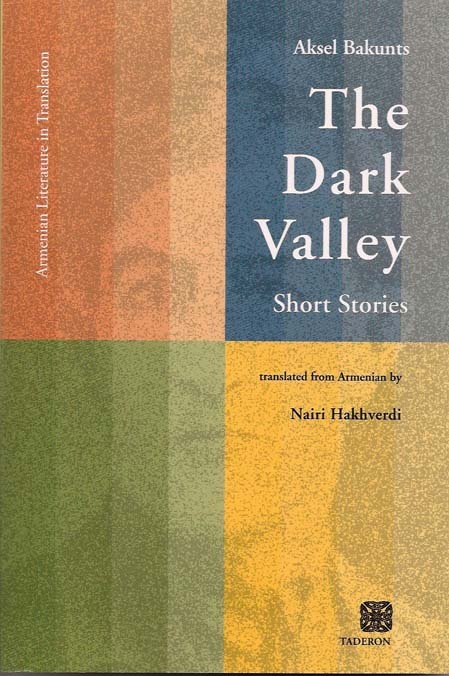 The short story bundle Mtnadzor (The Dark Valley) by the Armenian writer Aksel Bakunts is a collection of 18 short stories, first published in 1927. 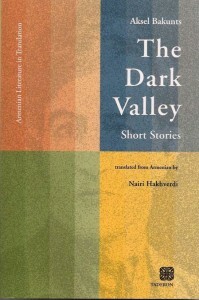 The stories are now translated from Armenian into English by Nairi Hakhverdian. This English translation is published by Taderon Press in London in November 2009 with an introduction by Victoria Rowe. Taderon Press is a division of the Gomidas Institute. Address: 42 Blythe Rd., London W14 0HA, England. Հասցե` 42 Blythe Rd., London W14 0HA, England. Aksel Bakunts (born Alexander Stepan Tevosyan, 1899-1937), one of the rising stars of Soviet Armenian literature, was known as a masterful short story writer. He was born in 1899 in Goris (Armenia) and educated at the Gevorkian Seminary in Echmiadzin. Always outspoken, his first publication, a satirical account of the mayor of Goris, earned him a stint in jail in 1915. He subsequently served as an Armenian volunteer in the battles of Erzurum, Kars and Sardarabad. Between 1918 and 1919 he was a teacher, proof-reader and reporter in Yerevan. In 1920 he was accepted to the Kharkov Institute in the Ukraine to study agriculture. After graduation in 1923, he worked as an agronomist in Zangezur, a region of Armenia that features prominently in his short stories. From 1926 he settled in Yerevan where he quickly established his reputation as a gifted writer with his first collection of short stories entitled Mtnadzor (Dark Valley). His oeuvre includes short story collections, various individual pieces in the press, fragments of novels sadly destroyed following his arrest in 1936, and three screenplays for films produced by Hyefilm in the 1930s. A colleague and friend of Yeghishe Charents (1897-1937), Bakunts was a member of the former’s Armenian Association of Proletariat Writers. Bakunts fell victim to the Stalinist terror and was accused of various crimes including alienation from socialist society. He was arrested in 1936 and is believed to have been shot after a twenty-five minute trial in 1937. No user commented in " Aksel Bakunts: The Dark Valley "